The Castle of Busset can be regarded both as a medieval fortress and a Renaissance castle. 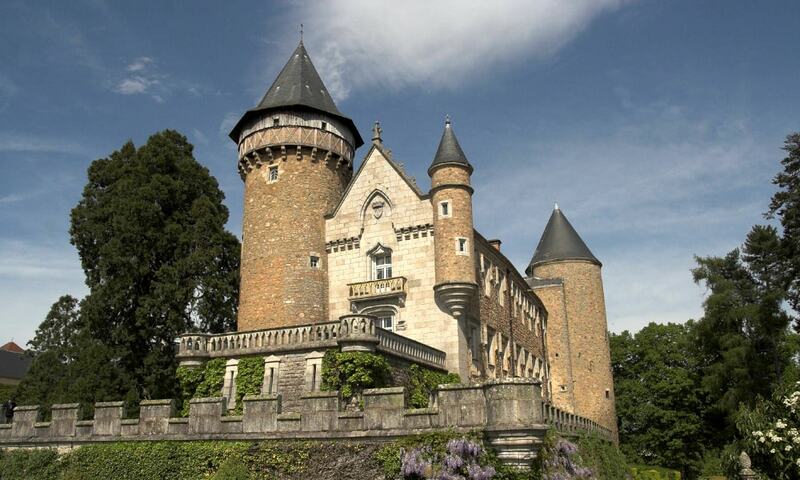 Since the end of the 15th century, it has been the property of the Bourbon-Busset family, non-reigning direct descendants of the Capetian dynasty. The castle may have its origins at the end of the 13th century when the Templars began to construct fortifications on one of their Commanderies. The medieval edifice that dominates over the valley of the river Allier was completed in the 15th century: a typical feudal fortress, with moats and ramparts, a keep crowned by battlements and an elegant and imposing tower, covered by an octagonal roof (that was named Orion from the constellation which the Knights of the Temple enjoyed observing from its top). At the end of the 15th century, Marguerite de Busset married Pierre de Bourbon, Chamberlain of Louis XII and the Bourbon-Busset family was born. In the next century, their son Philippe married Louise Borgia, daughter of the famous Cesare Borgia. Louise brought a flavor of Italian Renaissance spirit to Busset; she added a covered arcade to the ground floor and a gallery on the first floor of the east wing, whose frescos have recently been restored. The castle fell into disrepair after the French Revolution but it was beautifully restored by Viollet-le-Duc in the 19th century. He made several interior renovations such as wooden paneling and painted ceilings that were harmoniously added to the medieval parts such as the monumental fireplace in the grand salon. Today, the castle is open for visits and tours. It also offers luxury accommodation and a wide range of services and activities like bike rental service, tennis or a golf course. Concerts and other events are also organized at the chateau.